The 2GP and how the final issues around hazard management and rural are resolved for regions like the Peninsula. Tomahawk School and the ongoing need to ensure the community have a say in the way these Council assets are managed. Tomahawk Lagoon and the way the ORC manage the water quality and levels for the welfare of the community. Roading projects around the Peninsula including the re-opening of Highcliff Road. Sand dune management in places like Tomahawk and Okia. Supporting the Te Rauone community to complete their beach management project. Reviewing how effective the new freedom camping bylaw has been. Continuing to advocate for better broadband and rural internet access. This entry was posted in Broad Bay, Dunedin, Harwood, Local Issues, Macandrew Bay, Otago Harbour, Otago Peninsula, Otago Peninsula Community Board, Otakou, Paul Pope, Portobello, Pukehiki, Tomahawk and tagged Broad Bay, Community Aspirations, Community Board, Community Projects, DCC, Dunedin, Dunedin City, Dunedin City Council, Harwood, Keep Dunedin Beautiful, local government, Local Govt Elections, MacAndrew Bay, New Zealand, Ocean Grove, Otago Peninsula, Otago Peninsula Community Board, Otakou, Paul on the Peninsula, Paul Pope, Portobello, Pukehiki, Tomahawk on December 18, 2015 by Paul on the Peninsula. There’s Always Work to Do. One of the great things about the Otago Peninsula is the way that local people are willing to pitch in to make their community a better place. This is never more evident than at the Keep Dunedin Beautiful Awards held at the Library today. 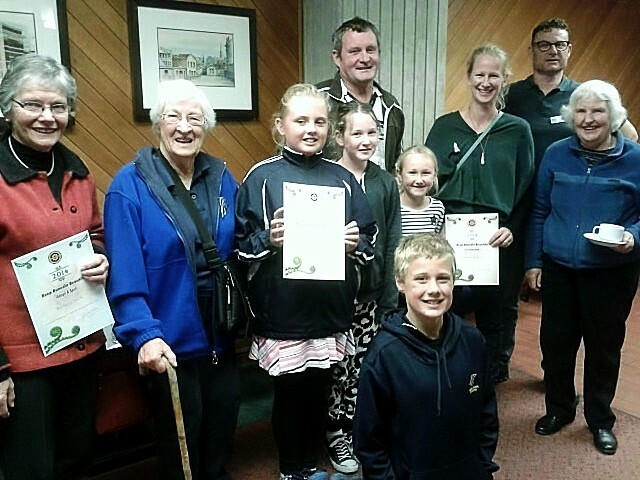 Among the many worthy winners from a multitude of community groups and individuals the Otago Peninsula gave a great account of itself. There is a visible determination among all of the winners from the Peninsula to contribute in any way they can. “Adopt a Spot” award winner Barbara Smith picks up rubbish from around Highcliff Road, one of the region’s most scenic roads. While Robert George who has kept Macandrew Bay township free of litter from many years won an appreciation award from the National Keep NZ Beautiful organisation for his many years work. All of the Peninsula award recipients have not shied away from hard work and seeing pupils from Portobello School accept that mantle too is very heartening for our community. As the Otago Peninsula Community Board’s representative on Keep Dunedin Beautiful it makes me proud to see that we have people in our community willing to roll up their sleeves and do the hard work that is always out there. 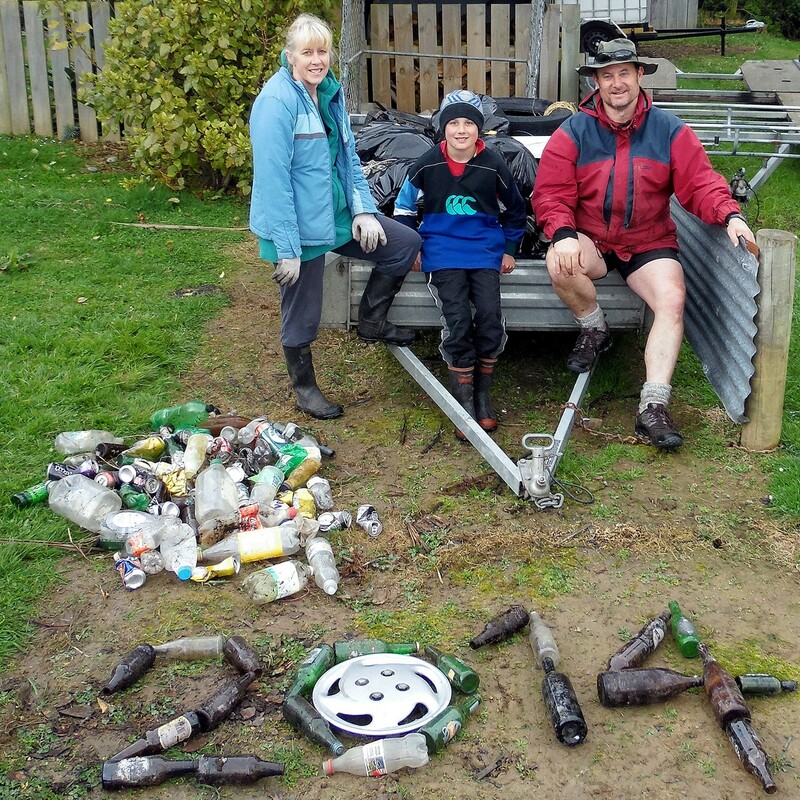 This entry was posted in Dunedin, Otago Harbour, Otago Peninsula, Otago Peninsula Community Board, Paul Pope and tagged Adopt a Spot, Clean Up, Community Awards, KDB, Keep Dunedin Beautiful, Keep NZ Beautiful, Litter, Otago Peninsula, Otago Peninsula Community Board, Portobello School, Save the Otago Peninsula on March 17, 2015 by Paul on the Peninsula. On a rather gloomy damp day that was thick with mist staying in bed seemed like a very good option, but the Pope whanau from Portobello had other ideas. My wife Lyn and I have always encouraged our kids to be good citizens and do things for their community selflessly. We want them to take an interest in their community and care for their region like we do. Keep New Zealand Beautiful Week is always an opportunity to do something positive for your community and its a family tradition in our house to get involved in our area. 2014 was especially important because the challenge went out to all of the Community Boards across Dunedin and as a Peninsula Community Board member I’m very happy to accept. Our family covered the 6 kilometre road section from Portobello township to the Golf Course on Harington Point Road. It was amazing what we picked up and our haul included; 6 bags of general rubbish, a sackful of glass bottles, a sackful of aluminium cans, two car tyres, two dumped microwaves and various car parts. I’d also like to mention Portobello local Melissa Bulger who collected rubbish over part of this area while she was training for the Cadbury Half Marathon, great effort! 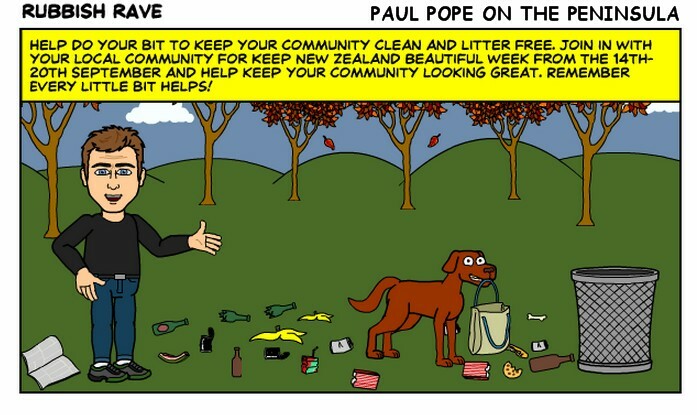 I know also that many other residents around the Peninsula will take part in the Keep New Zealand Beautiful initiative, so my thanks to them also. I’m really proud of my kids for their efforts today and I know that with Lyn and I providing an example for them we can create great future citizens for our community. This entry was posted in Dunedin, Otago Harbour, Otago Peninsula Community Board, Paul Pope, Portobello and tagged Clean Up, Dunedin, Dunedin City, Keep Dunedin Beautiful, Keep NZ Beautiful, New Zealand, Otago Peninsula, Otago Peninsula Community Board, Paul on the Peninsula, Paul Pope, Peninsula, Recycling, Refuse, Rubbish on September 14, 2014 by Paul on the Peninsula. We all have the chance to do our bit for the state of our community. Get in behind Keep NZ Beautiful. This entry was posted in Dunedin, Local Issues, Otago Harbour, Otago Peninsula, Otago Peninsula Community Board, Paul Pope and tagged Clean-ups, Dunedin, Dunedin City, Dunedin City Council, Keep Dunedin Beautiful, Keep NZ Beautiful, local government, New Zealand, Otago Peninsula, Otago Peninsula Community Board, Paul on the Peninsula, Paul Pope, Rubbish on September 4, 2014 by Paul on the Peninsula. 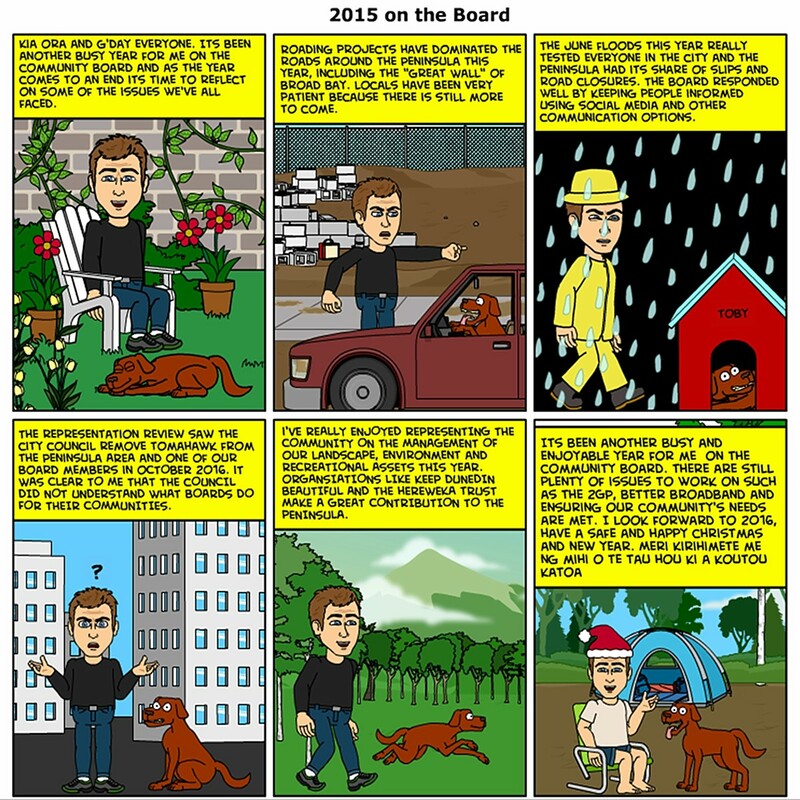 I'm Paul Pope the Chairman of the Otago Peninsula Community Board. I was elected to the Board in 2013 and became chair in 2016. I bring a wealth of experience, common sense and a community focused perspective. I've created this blog to let people know my personal views and opinions on some of the issues that affect our community. Its also an opportunity for people to contact me, offer their advice or share a problem.